On a postcard-perfect snowy Friday in New Hampshire, Bernie Sanders brought his presidential campaign to a historic town hall here and challenged Hillary Clinton to back a plan to strengthen Social Security and to reject any cuts to Social Security. Clinton has left open the possibility that she would support raising the retirement age at which seniors become eligible for Social Security. “I would consider it,” she told a town meeting in New Hampshire last Oct. 28. Sanders has introduced legislation to make the wealthiest Americans who make more than $250,000 a year pay the same share of their income into the retirement system as everyone else. Current law now caps the amount of income subject to payroll taxes at $118,500. Under Sanders’ plan, a senior making less than $16,000 a year would see income go up by more than $1,300 a year. The measure also would increase cost-of-living adjustments. This year, for only the third time in four decades, seniors on Social Security did not receive a cost-of-living increase. Sanders’ legislation would increase COLAs by accurately measuring the spending patterns of seniors. Under current law, the consumer price index used to calculate annual benefit adjustments does not accurately reflect how inflation in health care costs and prescription drug prices impact seniors. The proposal to lift the cap would raise taxes only on the wealthiest 1.5 percent of Americans. 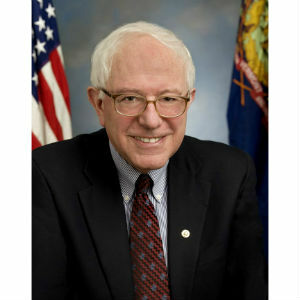 Sanders’ plan is patterned after a proposal to scrap the cap first brought forward by President Barack Obama in 2008. According to new estimates from the Social Security Administration, the Sanders plan would extend the solvency of Social Security until the year 2074.